A witch appears to be screaming out into space in this image from NASA's Wide-Field Infrared Survey Explorer, or WISE. 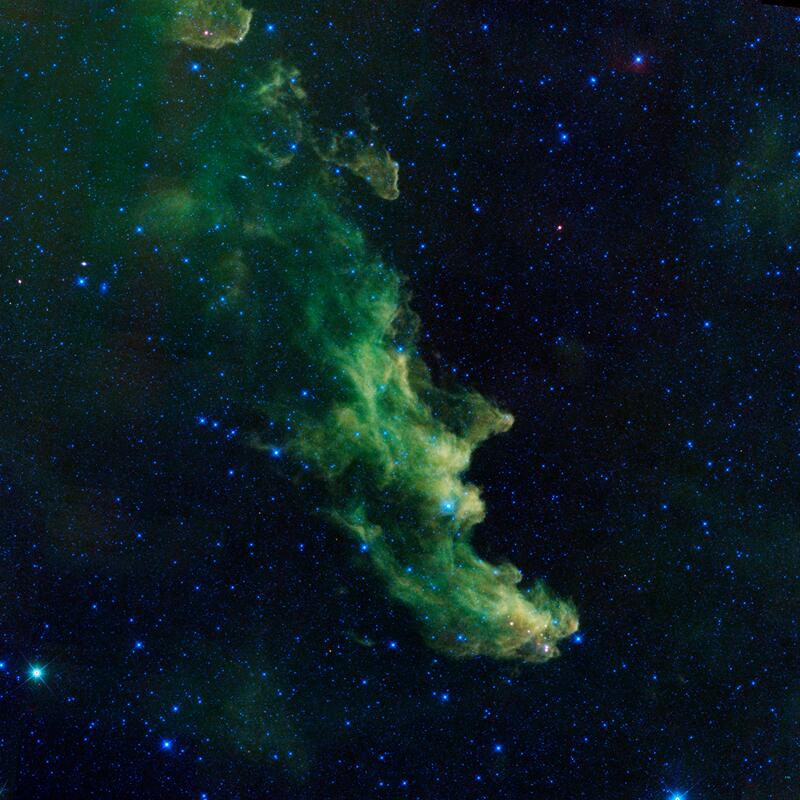 The infrared portrait shows the Witch Head nebula, named after its resemblance to the profile of a wicked witch. 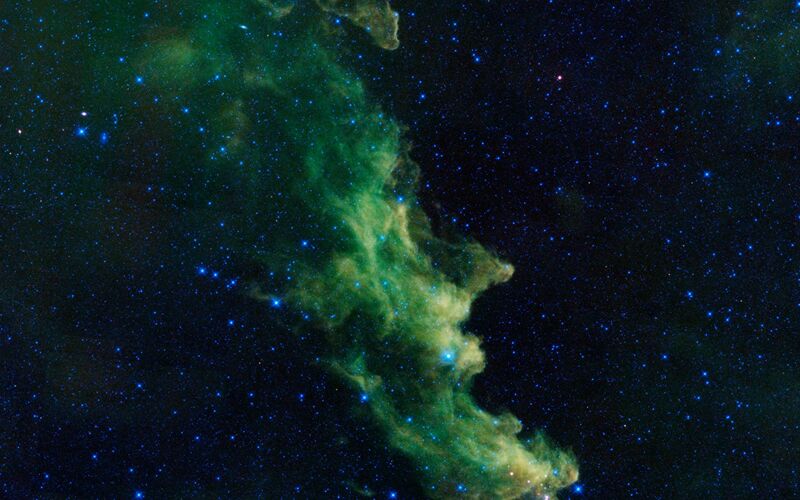 Astronomers say the billowy clouds of the nebula, where baby stars are brewing, are being lit up by massive stars. 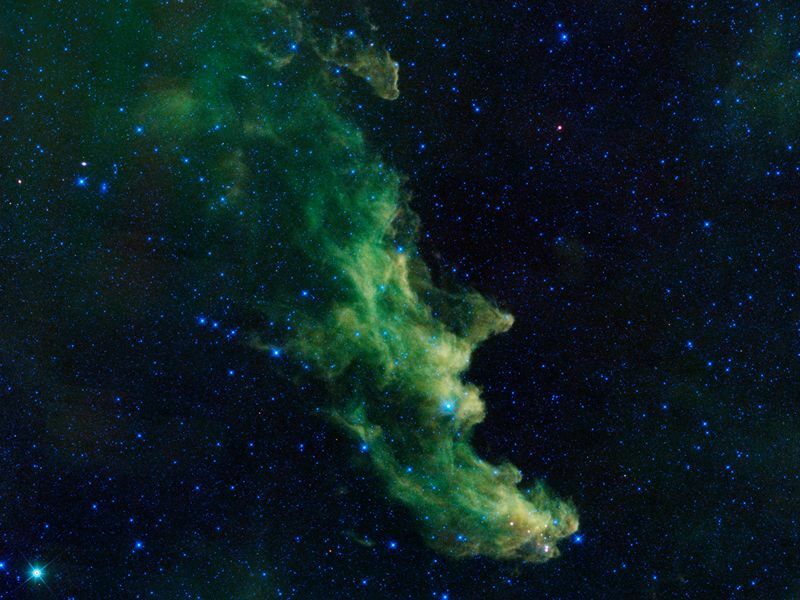 Dust in the cloud is being hit with starlight, causing it to glow with infrared light, which was picked up by WISE's detectors.